A Year of Being Here: David Shumate: "Shooting the Horse"
"Shooting the Horse" by David Shumate, from High Water Mark. © University of Pittsburgh Press, 2004. 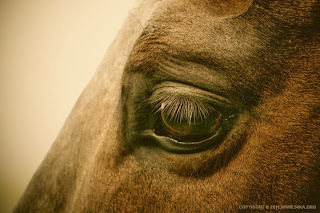 Photography credit: "Horse Eye," by Dimitar Hristov (originally color).